Is 3D TV the future? NEC and Magnetic Media have announced a partnership that will result in NEC displays being able to show 3D content using Magnetic's Enabl3D technology. Visitors to the Digital Signage Expo in Las Vegas are getting the first glimpse of the partnership's 57inch 3D-Enabled display. According to Magnetic, this display is able to project images more than a foot out of the screen without the need to wear any special glasses. Under the terms of the partnership, NEC will now be able to offer Magnetic Enabl3D technology to its customers as an add-on. 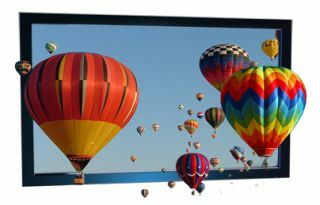 Magnetic claims that its 3D technology does not affect standard 2D image resolution, so any customers looking to buy into the best of both dimensions with a single display can do just that. Explaining how he believes 3D TV is the future, Magnetic CEO Tom Zerega said: "First you had black-and-white TV. Then in the late 1950s colour was introduced. Over the past 10 years or so, you have HDTV, plasmas and LCDs. Now the next big thing is 3D." Of course, until the technology has evolved to a point where major broadcasters can afford to begin broadcasting an appropriate signal, 3D TV will remain limited to custom generated 3D content. But, who knows, perhaps in 10-20 years time everyone will be wandering around watching 3D TV on portable camera-TV-video-PVR-phones and thinking nothing of it.